Travel to Beirut in luxury and style when you charter a private jet to Beirut, Lebanon with Stratos Jet Charters. Stratos is a global air charter agency that provides top-quality service and specializes in building long-term client relationships to enhance the charter flight planning process. Our team of knowledgeable aviation consultants are here to assist you with every step of the charter flight planning process, from choosing the appropriate private aircraft to facilitating transactions, and are available 24/7 to answer any potential question during the coordination of your private jet charter.The capital city of Lebanon, Beirut is a bustling metropolitan city that serves as the country's major seaport on the Mediterranean coast. Beirut is acknowledged for its arts, culture, theaters and nightlife. Thanks to the city's recent redesign, Beirut is once again a popular tourist attraction and in 2009 The New York Times named the city the top place in the world to visit. 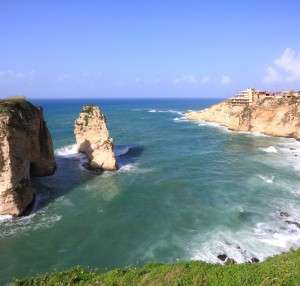 Beirut experiences hot, humid summers and cool, rainy winters. It is geographically situated between Al-Ashrafieh and Al-Musaytibah hills, while the Lebanon Mountains border the city's limits. Publishing, banking and trade are amongst Beirut's primary industries and employers of city residents.You won't want to miss the city's history and culture while you're in Beirut. 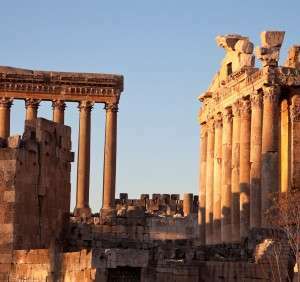 Visit Temples of Baalbek, a must-see for travelers and culture-buffs. These ancient ruins are excellently preserved and make for a truly magical experience. For an underground venture, check out the Jeita Grotto, a series of underground taverns that you can explore on foot or by boat. An architectural masterpiece, the Greek Orthodox Cathedral of Saint George is a magnificent structure to visit. Underneath the cathedral is a museum where you can learn the stories behind Beirut's "seven demolished cities" that allegedly lie underneath Beirut.For accommodations in Beirut, we recommend Le Royal Hotel Beirut which overlooks the Mediterranean Sea and is in close proximity to the airport. Although the hotel feels like a piece of history, the rooms are furnished with all the modern conveniences and technologies. An indoor swimming pool, mud bath, sauna and tennis courts are among the amenities offered at Le Royal Hotel. If you're in Beirut for skiing, InterContinental Mountain Resort & Spa Mzaar is perched atop scenic Mount Lebanon. The resort offers a full service spa not to mention breathtaking views. This establishment is settled in the center of the Mzaar 2000 ski complex so you won't need to travel far from your suite to hit the slopes.Private aviation provides you with flexibility and comfort you can only get when you charter a private jet. Avoid lengthy security and customs lines, select convenient departure times and locations, and fly in the exclusivity of your own private jet cabin. Additionally, you can design personalized meals through our Stratos jets catering menu, choose an aircraft equipped with state-of-the-art entertainment and business capabilities, and even request a seating configuration that accommodates a bed or galley. Stratos Jets specializes in both private charter flights and large group charters in and out of Beirut. With our in-house due-diligence safety program, Stratos Jets has client safety at the top of our list. We ensure all vendors and their private aircraft are properly certified to meet the standards set by the Federal Aviation Administration. Stratos Jets works with Part 135 for private jet charters and Part 121/380 for large group charters. We also conduct a third-party safety audit on every private charter flight we arrange to ensure that your Beirut charter flight is flown under the command of two highly experienced pilots.Fly confidently into Beirut Rafic Hariri International (OLBA) airport knowing your private jet charter has been arranged with safety and precision in mind.